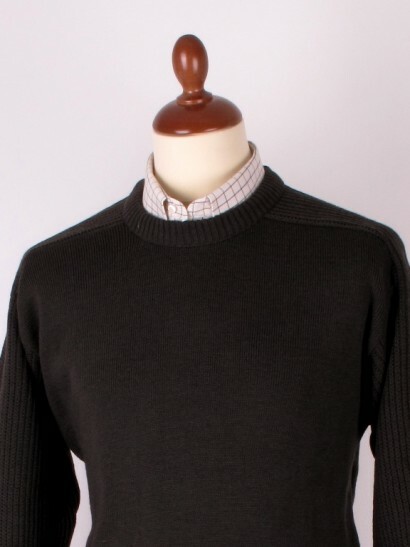 The slightly rustic look of the crew-neck works especially well on heavier knit jumpers. Cheviot wool, cable knit and patched shooting jumpers are all classic crew neck territory, made to save your day. Also, a crew-neck will agree most amicably with your wearing a (crisply pressed, of course) shirt without a tie, as some shirt collars can have a tendency to distort the shape of a vee-neck in a way not all too flattering. The crew-neck offers salvation indeed.